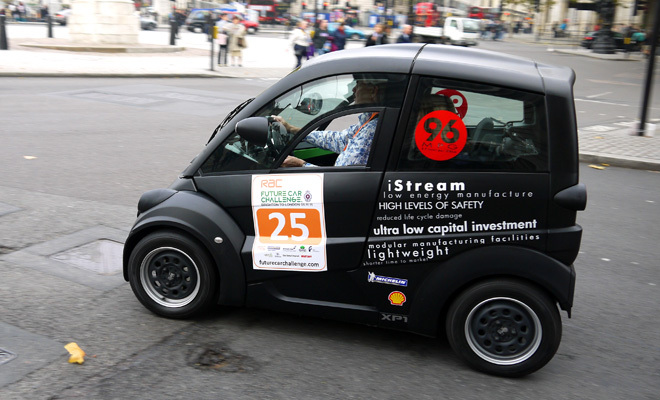 In a blog post published yesterday, car designer Gordon Murray casually announced that he has found a customer for his innovative T25 and T27 city car designs. 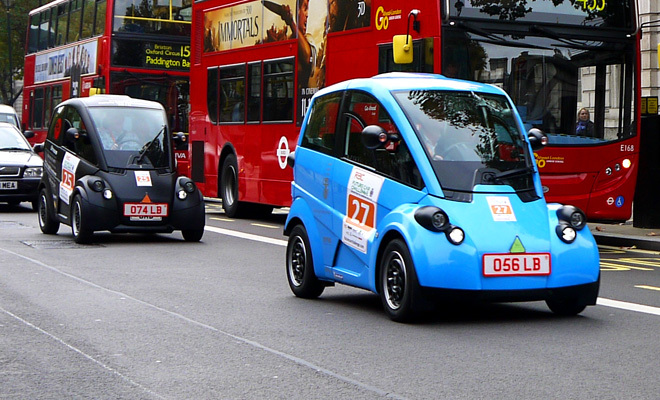 He hopes to see the pair reach the first keen micro motorists in 2016. The news has been a long time coming. 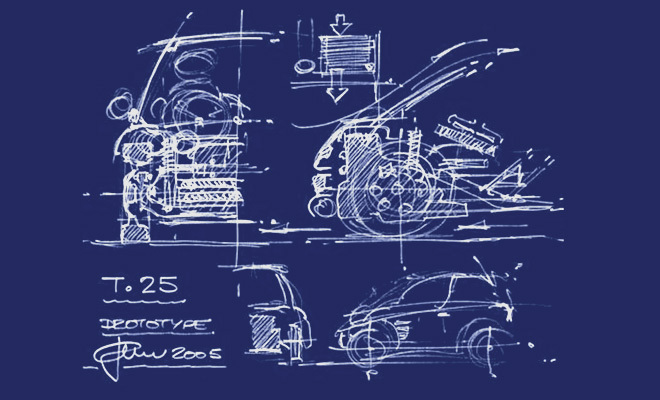 It’s an incredible eight years since Murray first published hand-doodled sketches of his 25th car design, in 2005. The company he founded to promote his ideas has kept up a slow drip of information ever since. Five years ago we found out T25 would adopt a three-seater, arrowhead seating layout just like Murray’s most famous design, the McLaren F1. Four years ago we learned the T25 would be built using iStream, an innovative, low-cost production method employing welded tubes, flat metal sheets and cheap composites in place of expensive pressed and welded steel. And it’s three years since the prototype emerged from under its dust sheet for the world to admire – or to pour scorn on, according to taste. 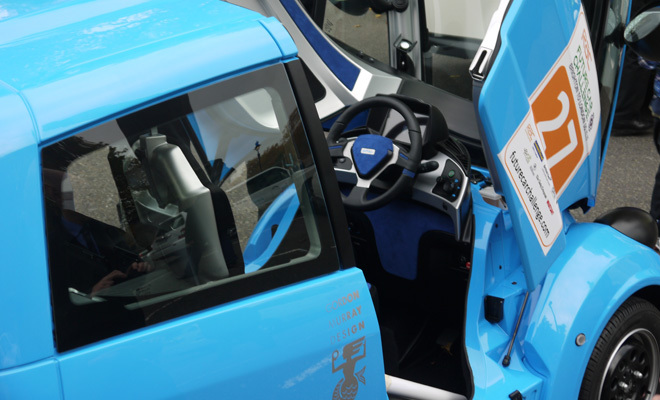 At roughly the same time we also first heard about the T27, a battery-electric version of the petrol-powered T25. I ran into Murray again in late 2011, at which time he said he was still locked in talks with various parties, with the most promising involving a consortium of three companies based in the UK, who aimed to put the T25 or T27 into production. Yesterday’s announcement gives no clues about the fate of that particular trio, or which brand Murray’s designs might carry when – or indeed if – they arrive in three years’ time. A new name in the motoring sphere, like Virgin, could emerge. Equally, we might see a Chinese car company try to take a lead in a new micro-car niche. Even a struggling European manufacturer might see iStream as a means to dramatically cut production costs. We’ll have to wait and see. Anyone who has followed the T25 saga will have put in plenty of practice at that.